This photo is dedicated to my partner in spirit Kim…who brought me to this beautiful place. 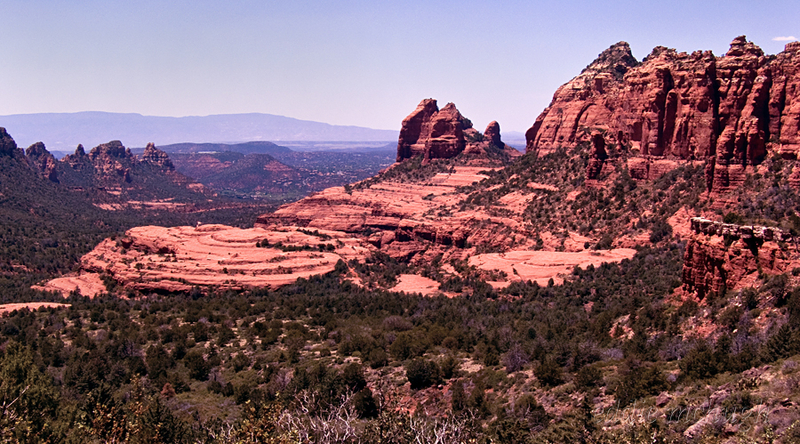 Aaahh, the southwest, land of ancient wind worn peaks and wide open skies, hot sun, hot rock and scurrying lizards. A land I’ve mysteriously and unexpectedly fallen in love with. How could someone who comes from rain in Maine, Rainforest and raincoats, and more rain, fall magically in love with such a dry ancient land, a land filled with ruins, sandstone and rattlesnakes? In past days I always chose the Land, but this time the Land chose me. I do not know why or how or when. I simply woke one day “in love”.